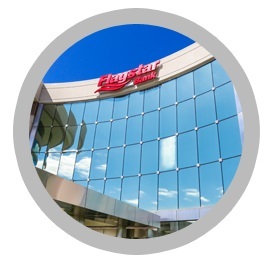 Flagstar is a Michigan-based, NYSE-listed bank with a unique business model that combines relationship-based national mortgage lending with full-service community banking. The synergies between the deposit and lending capabilities of its community bank and the capital-generating power of its national mortgage platform position Flagstar to create an exceptional value proposition for its shareholders. Flagstar Bancorp, Inc. (NYSE: FBC) is an $19.4 billion savings and loan holding company headquartered in Troy, Mich. Flagstar Bank, FSB, provides commercial, small business, and consumer banking services through 160 branches in Michigan, Indiana, California, Wisconsin and Ohio. It also provides home loans through a wholesale network of brokers and correspondents in all 50 states, as well as 72 retail locations in 22 states, representing the combined retail branches of Flagstar and its Opes Advisors mortgage division. Flagstar is a leading national originator and servicer of mortgage and other consumer loans, handling payments and record keeping for $200 billion of loans representing 962,000 borrowers. For more information, please visit flagstar.com. As of April 26, 2019 11:10 AM ET Minimum 20 minute delay.